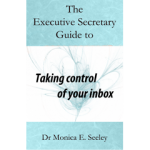 Top tips from Mesmo Consultancy (and Associates) on how to save time and improve business and personal performance by ‘Taking Control of your Inbox’ and using proper business email etiquette. How many emails do you currently have in your inbox? More than three screen’s full? That is too many and might be an indication of email overload. Your inbox should be your ‘work in progress’ folder. It is not just a general dumping ground rather like either the spare room or ‘round to it’ folder. Spot important emails before they become urgent. Keep on top of the incoming emails. Hence you can save time dealing with your (and the boss’s) inbox and therefore improve your performance and well-being. 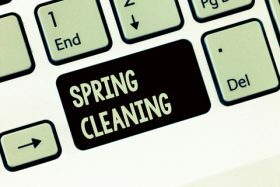 Here are five tips to help you clean up your inbox ready for the Easter break and subsequently reduce email overload on your return. They do not form a sequence, rather they are individual tips; you can of course either use them all or just choose which suit you best. Move out all emails over two weeks old to a separate folder. Start the folder with a full stop and it will sit at the top of the list: eg .Old Emails. Use the Conversation view to group emails and see threads for those left in the inbox. Prioritise which emails you really need to see directly in your inbox. Then set up rules to divert all the less important emails to appropriate folders. 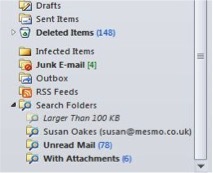 For Outlook users use the ‘Search Folders’ to see all unread emails in one go: see diagram. Highlight emails which do need action either before or after the Easter break.For example add a follow-up flag; drag and drop them on your task-list/calendar, add a category or place them in a specific folder eg ‘Action’. Review the emails you have and see if an alternative to email would be more effective eg What’s App; OneNote; old fashioned conversation; SharePoint etc. Never be afraid to change because if you don’t you will get what you always have – email overload! If you are having time off, remember to set an Out of Office message which reduces the risk of email borne cyber crime and improves compliance to to the GDPR. And when all else fails you could always declare email bankruptcy. Still need help with email management to reduce email overload? Call us now to ask about Mesmo Consultancy’s Smart Email Management workshops and coaching programmes. 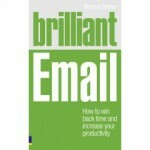 Email overload remains one of the top ten drains on our productivity and well-being. Can email management training help reduce email overload and improve our well-being and mental health? We often assume that email management and best practice is instinctive. So do we really need training to reduce email overload? After all most of us use email socially so why bother to offer training at work? Have a higher rate of employee retention and engagement. Interestingly Millennials value training more than Generation X. They save between 15 and 45 minutes a day dealing with email. Control of their inbox is improved. The expectation of an instant reply is better managed. Email overload stress levels too are down. Why because they no longer feel driven by their inbox, instead they have taken back control of their inbox and day. They decide when to check for new email. Good email etiquette often helps reduce the rounds of email ping-pong and means they send the right message, right first time, thus reducing the risk of an email war breaking out. Email dominates business life. 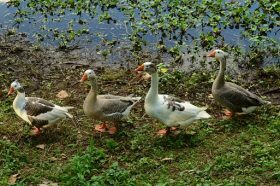 How much time are you and your colleagues wasting through lack of proper training? Click here to check? Maybe you have had some training but chances are you are only using a small percentage of the techniques covered on the course. We all need to justify our training budgets. An average Smart Email Management workshop costs £45 per person. If you are wasting one hour a day and can reclaim even half that then training to reduce email overload pays for itself within the first day (assuming even the median hourly pay of £14.31). Why waste any more time? If you are serious about well-being, improving mental health and productivity, grab a chunk of that training budget now for some Smart Email Management Training. If you need some help justifying the budget call us and we can talk through how to convince the Board that providing email best practice training will improve business productivity. It takes leadership to make people do brave things. But does it take leadership to reduce email overload? Motivating them to take risks, to stand up to formidable odds, to storm an enemy fortification, to jump out of an airplane – that is where a leader can have an impact for sure. By contrast, it hardly takes leadership to make a person do something that is neither brave nor difficult, and is in the person’s selfish interest: nobody requires a leader to lead them to eat strawberry ice cream, or to enjoy a weekend with their children, or to take a pleasant nap in the warm afternoon sun. Why would they? It’s all upside, after all – what’s not to like?! So here is a bizarre exception, a situation where a great deal of leadership is necessary to make people do what is inarguably in their selfish interest. When it comes to email overload in an organization, leadership is practically a necessary condition for solving the problem. The problem is ubiquitous and widely recognized: employees and managers in every organization on the planet suffer from a horrible overdose of incoming emails, text messages, WhatsApp alerts, Facebook updates, and so on ad nauseam. The outcomes are dire indeed, as this problem decimates people’s productivity, quality of work, creativity, effectiveness and quality of life. Everyone complains about it… yet very few seem able to do something serious to eliminate the problem on their own. Not that it’s all that difficult: after all, email overload is the result of a frenzy of activity that is in large part unnecessary and useless. Much of the email inundating people’s inboxes is generated by their coworkers (and vice versa) for no good reason, and it would be in everyone’s interest to simply send less of it, restoring the tool to its original purpose from the 1980s: send important, useful messages required to perform the job at hand. It would also be in everyone’s interest to calm down and stop reacting to every incoming message alert as though it were a fire alarm. And yet nobody sends less, nobody calms down, nobody cuts back. Not on their own they don’t. The reasons for this are deep, and have to do with undercurrents of the organizational culture that involve mistrust, missing norms, over-competitiveness, and so on. Put simply, it’s a prisoner’s dilemma: if I send less email to my coworkers they will certainly benefit, but will I? What if they keep sending out more mail – will they get noticed and rewarded, while my altruism condemns me to obscurity? And this is why in this domain, leadership is crucial. Consider the prisoner’s dilemma again: the only way to make people cooperate in this game is by changing the payoff table. If cooperation – sending less email – is rewarded, then people will send less of it. If sending silly pictures of cats to a large distribution list will get you a reprimand in your annual performance review, you will find better use for your time, and your recipients’. But only the group’s manager, who sits in the hierarchy above all the senders, can effect such a change in payoffs. Employees are very finely attuned to sense their boss’s desires, and if the boss makes the switch and truly believes in an email reduction program, they will react instantly. Furthermore, the higher that boss in the organization, the wider the scope of his or her impact. A department manager can affect the mailing behavior within the department, but other departments will continue unaffected, impacting the first manager’s employees too. For a complete improvement, the general manger or CEO must be on board; that affects everybody inside the company. This is why the late W. Edwards Deming, the originator of Total Quality Management, used to refuse to consult at a corporation unless the CEO invited him in person; he knew that the culture change he was promoting would be certain to fail without top level leadership. Once we accept that email overload is a cultural problem, it follows that you want to have senior management sponsorship for the solution program. You can still do a lot without it – teaching people how to process their inbox more efficiently, for one thing – but for a true transformation you want to recruit managers as high up as you can. Not an easy task, but well worth the effort! How much do you reveal in your Out-of-Office message and what is the risk of a cyber attack from it? Out of Office messages are often the easy back door for a cyber attack. Of the 135 recent Out-of-Office Message, six percent were past their sell by date which suggest a lack of attention to detail on the recipients part. 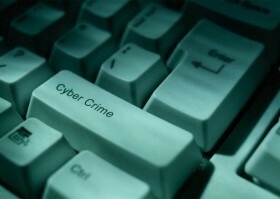 Fifteen percent gave away information about clients and projects handled by the organisation, about twenty percent were insecure and left the person open to cyber crime. Many burglars troll out of office messages. It would not take a cyber criminal ten minutes to find out where you live and bing – burglary. The remaining 49% of messages were fine. What makes a good safe and secure Out-of-Office message? Indeed why bother to pay attention to what your message says? A simple message is best which just states that you are not in the office and gives one point of contact in the event of an emergency. Any more (eg you are on holiday, other projects you are handling etc) and you leave yourself and the organsiation open to a breach of security and confidentiality. Every email from you conveys and creates an image about you in the recipient’s mind. A careless, frivolous message can convey a sloppy, unprofessional image of you and a sloppy organisation. Does your organisation provide adequate guidelines on the use of Out-of-Office messages? If so what?